Article V Section 6 of the LJCPA bylaws states if a challenge of the election results is filed, it must be filed in writing within seven days of the election results and be filed with the Chair of the Elections Committee. Agendas for November and December 2013, January and February 2014 (Exhibit 1), reveal the LJCPA President never publicly appointed nor did the LJCPA Board of Trustees publicly ratify the 4-7 member Election Committee or a Chairperson as required by Article V- Section 5 (A) of the LJCPA bylaws. Given the appointment or ratification never publicly transpired, in lieu of sending the LJA challenge to a Chairperson of a non-ratified Election Committee the written challenge was emailed directly to info@lajollacpa.org . Pursuant to Article V Section 2 & 3 of the LJCPA bylaws, an Election Committee is to be established no later than the first week of January. Among other tasks the Election Committee is required to make a good faith effort to; (a) solicit Members to become candidates, (b) utilize all appropriate means to publicize the LJCPA’s eligibility requirements for candidacy and the date of the upcoming election, (c) seek enough potential new candidates to exceed the number of Trustee seats open for the election, thereby allowing those who have served six consecutive years to leave the group for at least one year. Since an official Election Committee was never publicly selected or ratified by the Board of Trustees at a publicly noticed meeting and the above agendas do not reflect any official election updates were presented at the LJCPA’s monthly meetings, by an Election Committee Chair, confirms a official good faith effort to seek new candidates never happen. The fact that three write-in candidates filed their intentions to seek office the night of the election is further evidence a official good faith effort did not occur. Including the three unexpected write-in candidates there were nine candidates for the six available Trustee seats (Exhibit 2) . 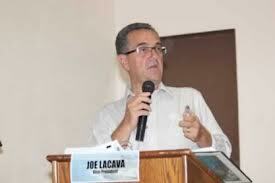 Two of the candidates, Mr. Joe La Cava and Mr. Jim Fitzgerald however served their six years maximum term allowed by Article III Section 3 of the LJCPA bylaws. Council Policy 600-24 and 600-24 Administrative Guidelines Article III Section 4 clearly describes, if a candidate with service beyond the maximum years allowed appears on the ballot with new candidates the ballot is required to; (a) identify which candidate exceeds the planning group’s allowable six year term limits, (b) the candidate must receive a two-thirds vote of all ballots cast by eligible community members participating in the regular election, to be elected, (c) the ballot should also indicate this candidate will not be seated if there are a sufficient number of new candidates to fill the vacant seats, i.e., a new candidate has priority over candidates exceeding the term limits. The LJCPA bylaws, 600-24 and the 600-24 Administrative Guidelines require Mr. La Cava and Mr. Fitzgerald be termed-out and not be granted another three year term. Election policy requires two new qualified candidates that ran for office be seated as LJCPA Trustees. 3. Pursuant to Article V Section 3 of the LJCPA bylaws; to qualify as a Trustee candidate in an election, a member must have documented attendance at three LJCPA meetings in the preceding 12-month period. Based on the LJCPA’s Attendance and Membership List (Exhibit 3) write-in candidate Mr. Rob Whittermore does not meet this qualification. The LJCPA records show Mr. Whittemore attended just two meetings, one in March and the other in June of 2013. The LJCPA bylaws, 600-24 and the 600-24 Administrative Guidelines require write-in candidate Mr. Rob Whittermore be deemed disqualified and the candidate with the next highest amount of votes be seated as a LJCPA Trustee. The LJA and our community fully anticipate the LJCPA Trustees to make the above mentioned election corrections and honor Council Policy 600-24 and the LJCPA bylaws.